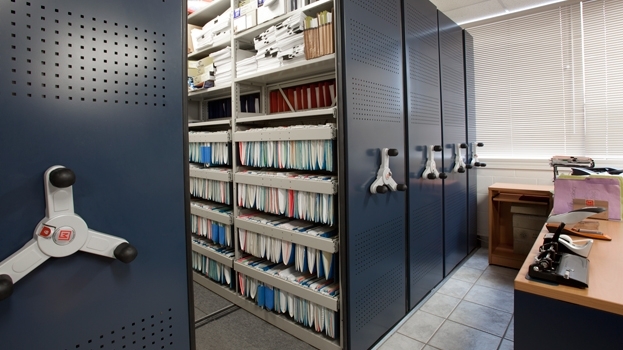 We’ve developed a full line-up of shelving products that will give you intelligent storage of your documents. They will exponentially multiply efficiency at your office. 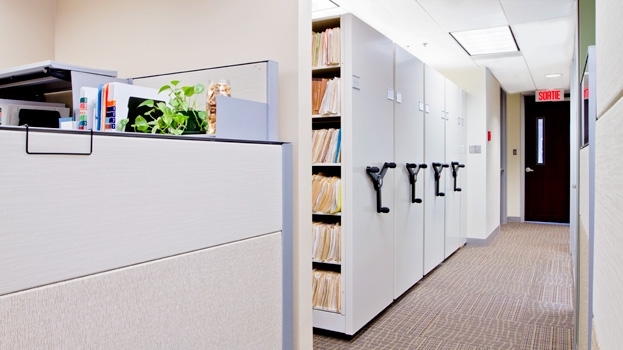 Montel’s broad range of movable and stationary filing and shelving systems and cabinets give you everything you need to optimize and adjust storage of your accounting documents. They cover the spectrum from large-scale powered carriages to compact shelves and cabinets, and they can be customized to suit accounting applications of all kinds. Whether your needs are big or small, Montel’s leading-edge systems can boost your capacity by 50% or more.